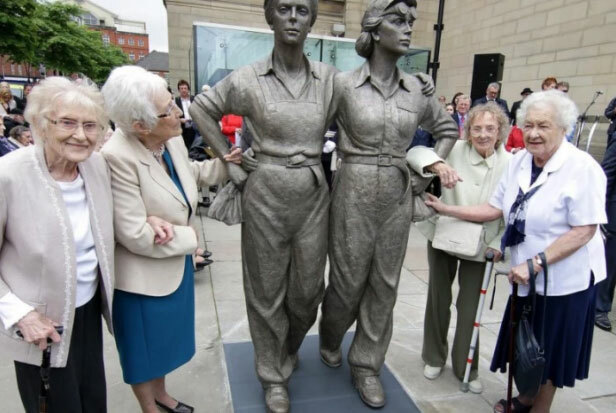 Sheffield's brave Women Of Steel celebrated the unveiling of a statue in their honour after a lifetime wait by again showing their mettle - dancing and singing in the street. 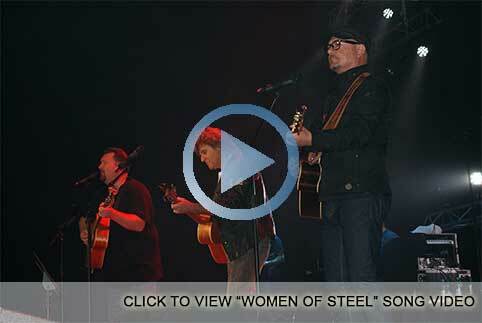 Britain’s top folk stars are about to hit a final note for Sheffield’s Women of Steel with a star-studded ‘homecoming’ concert to smash the city’s £150,000 Statue Appeal, writes Graham Walker. 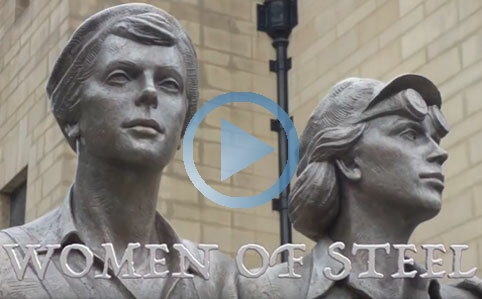 Taking place in Sheffield Cathedral on Wednesday, November 26 - it is set to answer the prayers of the surviving Women Of Steel, who kept the city’s steel mills going during two world wars, now to be honoured with a statue outside the City Hall. It follows a rock and pop concert a year ago, featuringsome of the biggest names in Sheffield's musical history Tony Christie, Heaven 17, ABC’s Martin Fry, John Parr, Eliot Kennedy, John Shuttleworth, Jon McClure and John Reilly, which helped to raise £64,000 towards the appeal. 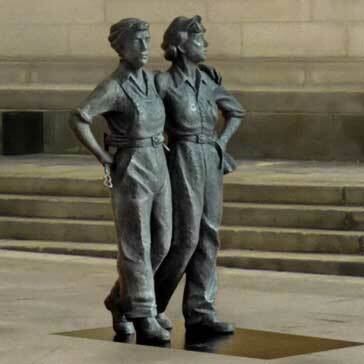 It is planned that a £150,000 bronze statue, designed by artist Martin Jennings should be in place, outside Sheffield City Hall, in time for the 100th anniversary of the outbreak of World War One in 2014. Concert co-organisers Eliot Kennedy and John Palmer said City Hall was chosen for the location of the statue and the concert because it was a venue for tea dances during World War Two, attended by many of the women. Attended by 1,700 the concert included favourites Heaven 17, ABC’s Martin Fry, Tony Christie, John Parr, Eliot Kennedy, Jon McClure, John Reilly and other homegrown stars all performing for free at Sheffield City Hall. Every artist at the Women of Steel concert dedicated a song to the group of women, now in Every artist at the Women of Steel concert dedicated a song to the group of women, now in their 80s and 90s. 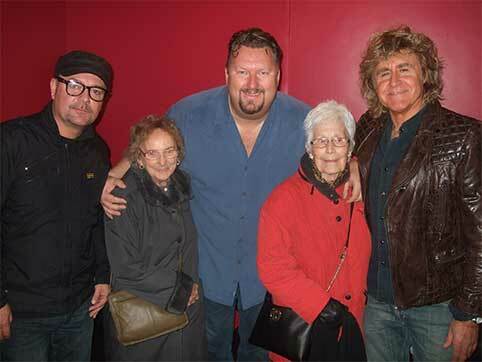 Ruby Gascoigne, 91, attended the after-show party. "We are all amazed at how many people came to the show, and the warmth and affection people showed us," she said. "We just loved every minute of it." Following the huge success of the concert, Sheffield City Council have given the go ahead to start work on the 6ft 6" statue which will be cast in bronze to last hundreds of years. Dorothy Slingsby, aged 92, one of the Women Of Steel from the Second World War, was overwhelmed by the news. The women, dwindling in numbers, want to see the statue in their lifetime. “It’s absolutely wonderful,” she said. “I’ll have to have a word with him up there and tell him I’m not coming yet,” said Dorothy, who was a crane driver. She partied at the after show party until midnight.